Dr. Mousa Abu Marzouk, a member of Hamas’s political bureau, has asserted that lineup of the new Palestinian unity government was approved in the latest meeting between Hamas and Fatah delegations in Gaza. He said in an interview with Kitab TV station to be aired on Saturday that both factions were satisfied with the final list, adding that head of the Fatah negotiating team Azzam al-Ahmed would return to Gaza by the weekend to finalize the lineup after consulting with PA chief, and Fatah leader, Mahmoud Abbas. Abu Marzouk expected the government formation to be declared before expiry of the five-week period designed for its completion. The Hamas official said that Abbas would visit Gaza as soon as the new government was established, expecting that to be on the second meeting of the government. 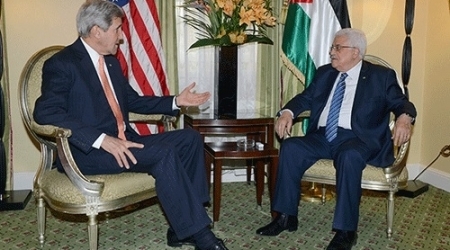 He hoped that the heavy foreign pressures especially on Abbas would not affect the reconciliation process. Israel’s Justice Minister and chief negotiator Tzipi Livni met Thursday night with Palestinian Authority President Mahmoud Abbas in London, Israeli media sources revealed. The meeting, which coincides with the 66th anniversary of Nakba and the martyrdom of two Palestinians near Ofer barrier, was the first meeting between the PA president and a senior Israeli official since peace talks collapsed last month. Livni stressed during the meeting the “gravity” of Abbas’s formation of a unity government between his Fatah party and Hamas, saying Israel could not hold peace talks with a government supported by Hamas, according to Israeli Channel 2 News. The sources added that Israel's Prime Minister Benjamin Netanyahu "is furious" with Livni over her initiative especially that he did not know in advance of the meeting. American officials confirmed to Israel's Channel 2 News that the meeting between Abbas and Livni was unplanned, and that it was spontaneously arranged since both parties happened to be in London in order to clarify Abbas's position concerning the negotiation process after the reconciliation agreement. Both Palestinian and Israeli sources did not provide further details about Abbas's positions during the meeting. However, Abbas has repeatedly stressed that talks resumption is linked to halt of settlement construction and the release of the fourth batch of prisoners. US Secretary of State John Kerry met Wednesday with Abbas to discuss American-Palestinian relations, and Thursday with Livni in "an informal meeting". Meanwhile, Netanyahu renewed his demand to Abbas to choose between reconciliation with Hamas and peace with Israel. In a meeting with US Defense Secretary Chuck Hagel on Friday morning in occupied Jerusalem, Netanyahu said "our Palestinian partners have reached an agreement with Hamas, recognized as terrorist organization by US". "I think the Palestinians have to make a simple choice, a pact with Hamas or peace with Israel, but they can't have both," he said. In a statement, yesterday, UN Women in Palestine expressed concern over the killing of "yet another Palestinian woman this week, raising the number of reported cases of femicide in the West Bank and Gaza Strip to 14 since the beginning of this year." "The worrying increase in the rate of femicide, from 13 in 2012 to 28 in 2013, demonstrates a widespread sense of impunity in killing women," the statement went on to say. "The Palestinian Government has demonstrated a political will to end violence against women through the adoption of a zero-tolerance policy on violence against women in the achievement of the Millennium Development Goals, the endorsement of a National Strategy to Combat Violence against Women 2011-2019 and, most recently, the ratification of the Convention on the Elimination of All Forms of Discrimination against Women. This political will must be translated into urgent concrete action," it said. WAFA reports that UN Women called for the "urgent implementation of the Serious Case Review mechanism coordinated by the Ministry of Women’s Affairs that brings together governmental and civil society institutional partners, to conduct a thorough investigation into the most recent cases of violence, and identify the appropriate response in terms of ensuring protection for Palestinian women and ending impunity for the perpetrators of violence against them." UN Women stands ready to support urgent actions that will help to ensure that women will not be killed with impunity. "We agreed on all the details of the security file, we are committed to what we signed. We will not allow the return of security disorder to the Gaza Strip," Haniyeh said in a graduation ceremony in the besieged coastal enclave. "We will not give up the weapon of resistance, and we will not forsake resistance," Haniyeh added, stressing that Hamas "will not depart the position of manliness and dignity and will remain loyal soldiers of Palestine." 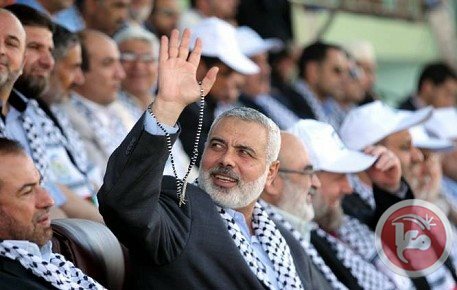 Haniyeh added that no employees in Gaza will be fired after the unity government is formed, explaining that "we will work on the basis of partnership, and will build security forces in the West Bank and Gaza." The development of two independent Palestinian security forces -- one under Hamas in the Gaza Strip, the other under the Fatah-led Palestinian Authority in the West Bank -- has been a key issue as both parties attempt to work out a national reconciliation plan agreed upon in late April. Palestinian president Mahmoud Abbas arrived in Venezuela on Friday to seek backing from Caracas for observer status in three Latin American regional organizations. During his stay, which ends Saturday, Abbas will meet with President Nicolas Maduro, whose socialist government has faced months of at times bloody protests. He arrived around 0230 GMT at Maiquetia airport for his third visit to the oil-producing country in five years. Abbas heads to Caracas after meeting with US Secretary of State John Kerry in London on Wednesday, a first since the peace process between the Palestinians and Israelis collapsed. In their talks, Abbas and Maduro will exchange views on the peace process, as well as Palestinian relations with Latin America, according to Palestinian envoy Linda Sobeh Ali. Abbas will also seek support for the Palestinian Authority's quest to be granted observer status in the Union of South American Nations, the Bolivarian Alliance for the Peoples of Our America and the Community of Latin American and Caribbean States. In the face of fierce Israeli opposition, the Palestinians won observer status at the United Nations in November 2012, opening the way for it to adopt a host of international accords. Abbas will also be visiting the grave of Maduro's predecessor, longtime leader Hugo Chavez who died of cancer last year, according to Sobeh Ali. In recent months Maduro has faced major unrest, which has claimed at least 42 lives since February, although he has called the protests a United States-backed coup attempt. In two weeks' time, the Pope of the Vatican, Pope Francis, will arrive in Occupied Palestine in a visit that will last for a few days. He is slated to meet with religious and political leaders representing Muslims, Christians and Jews. He is expected to visit religious shrines belonging to the main monotheistic faiths in the Holy Land. 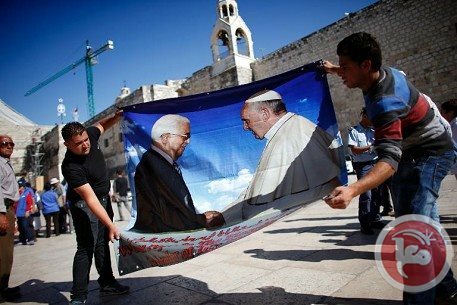 We Palestinians wish the Pope a successful and rewarding visit. We also hope and pray the visit will help enhance relations between the followers of the Roman Catholic Church and the followers of Islam. Needless to say, the stabilization and possible reconciliation of relations between Muslims and Christians, especially Catholics, is a human and religious obligation incumbent on true believers of all confessions. Muslims and Catholics live as neighbors and compatriots nearly everywhere in the world. Hence, it is paramount that the political and especially the spiritual leaders of both communities work together in a spirit of good will to create serenity and concordance amongst believers. I know the task may not be easy. It is actually not easy. But we ought to the future generations of Muslims and Catholics to inculcate tolerance and mutual respect in our respective communities. We must teach ourselves and our children to accept the other, without ifs and buts. As humans and especially as Muslims, we know that the upcoming papal visit will not achieve miracles. However, we do believe that with his unique status and influence, Pope Francis can significantly, even radically, influence the cause of Christian-Muslim relations. That is why we expect the pope to stand on the side of justice, not passively or through noncommittal rhetoric, but through effective, concrete and pro-active deeds. We would like to see His Eminence condemn, preferably in the strongest terms, the despicable apartheid system practiced by the Israeli regime. Needless to say, Israel's protracted and uninterrupted repression of Palestinians-all Palestinians irrespective of their religious affiliation-constitutes a real desecration of the Almighty. We must display honesty and rectitude on this matter. It is Israel's enduring repression of Palestinians that has forced thousands of native Palestinian Christians to leave the Holy Land. This is a sad fact for which Israel ought to be squarely blamed. Moreover, the Vatican must not allow itself to be misled or deceived by Israeli lies and false propaganda in relation to Christians’ flight from Palestine. Similarly, we would like to see the Pope condemn Israel's lebensraum policy in the West Bank, the very policy that has effectively decapitated any remaining real chances for true peace in the Holy Land. We all know the disastrous ramifications of the lebensraum policies in Europe some eight decades ago. Hence, it would be unforgivable if we allowed the same nightmare to repeat itself once again. Yes, it is true, the Vatican is not a political or military superpower that can impose its will on evil players on this planet. But the Vatican is a moral authority for hundreds of millions of people around the world. And as such, it can make a difference. We, as Muslims, do understand the Vatican's propensity to improve Catholic-Jewish relations. In fact, Muslims appreciate and value the ideal of universal harmony whereby peaceful and brotherly relations prevail amongst the followers of various religions. We also have no problem seeing good relations prevail between Jews and Catholics. However, it is imperative that "good relations" between the Vatican and Israel be kept within the confines of equity and fairness and in no way prejudices the human rights and civil liberties of other peoples. 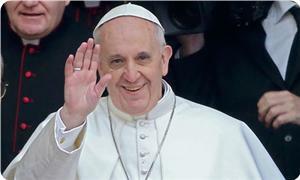 Hence, the Vatican is advised to exercise utmost caution with regard to Israel's unending efforts to exploit things like the Holocaust in order to silence the Holy See, especially in the face of Jewish oppression meted out to both Christians and Muslims in the Holy Land. Your eminence: The holocaust, or whatever happened to European Jewry in the course of the Second World War, doesn't give Jews a license to commit another holocaust, even a low-combustion holocaust against our people. I am not indulging in excessive exaggerations, for Israel has killed the prospects of peace in this part of the world by way of dotting the map of occupied Palestine with Jewish colonies. This means that Zionism can only be maintained by either violent military occupation and apartheid or a combination of genocide and ethnic cleansing. Needless to say, the Vatican wouldn't be faithful to its moral ideals if it kept silent in the face of Israeli criminality and nefariousness. Indeed, meeting Israel's evil policies in Palestine with either silence or apathy is very much like similar reactions to Nazi policies and practices. In the final analysis, when Jews think, behave and act like the Nazis thought behaved and acted, they should be viewed as Nazis, pure and simple. It is clear that the overall outlook of Christian-Muslim relations is far from being impressive. In the Central African Republic, a real genocide by Christians against Muslims has been going on for months. Thousands of innocent Muslims have been brutally massacred there despite the belated presence of French "peace keeping" troops. In Nigeria, a heretic group, known as Boko Haram, has been committing savage acts of murder and kidnappings, causing an unprecedented deterioration in relations between Muslims and Christians in the most populous African country. And, unfortunately, in Egypt and Syria, the Christian minorities have been embracing the criminal tyrannical regimes that deny the masses basic human rights and civil liberties. This in turn prompted many Muslims in both countries to view their Christian countrymen with suspicion. I don't really know what the Pope can do to alleviate the situation. What is amply clear though is that the rectification of Muslim-Christian relations, in the Middle East and beyond, requires some extraordinary efforts by sincere people from both sides. 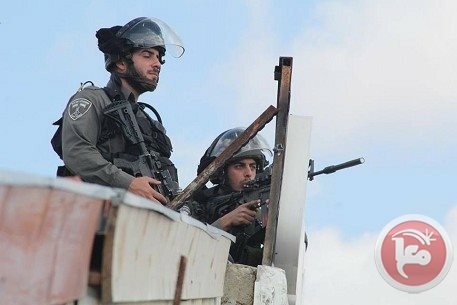 A high-ranking security official told Ma'an that the Palestinian Authority is considering ceasing security contact with Israel after the killing of two young Palestinians earlier on Thursday in Ramallah. The official said that the Israeli escalation on Thursday which led to the deadly shooting of two Palestinians, and the critical injury of another in Ramallah, is ignoring international laws, and the Palestinian people's right to self-determination. This, in addition to the continued settlement activity and other daily violations to Palestinians, their property and land, led the Palestinian leadership to consider this step, he added. The Palestinian Authority and Israel currently maintain extensive security coordination, largely targeting what Israel determines to be anti-Israel militant activity. Member of Hamas' political bureau and its reconciliation official Mousa Abu Marzouk said that talks of the national reconciliation government will be resumed on the next week. He confirmed that unity ministries will be announced after ending the consultations and before the agreed time of the national government formation. The names and opinions about all issues and sites were discussed in reconciliation talks amid a positive atmosphere, he added. 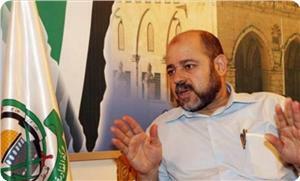 "Ministries lists circulated in the Palestinian media are totally not accurate," he said. On April 23, Hamas and Fatah signed a reconciliation deal in Gaza with the aim of healing the rifts that marred their relations since 2007. The deal stipulates the formation of a national unity government until legislative and presidential elections are held in the occupied West Bank and the Gaza Strip. Member of Hamas's political bureau Mousa Abu Marzouk said that the names of the ministers whom some media outlets claimed would serve in the unity government were inaccurate, affirming that the final list of names needs sufficient time. In a statement on his facebook page, Abu Marzouk affirmed that the new government formation would be declared after the consultations between Hamas and Fatah in this regard end. 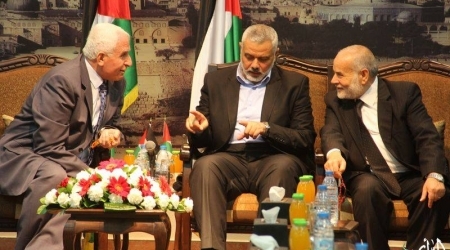 The Hamas official stated that Hamas and Fatah officials on Wednesday exchanged names and ideas about the government and would meet again next week, describing the deliberations in this regard as positive. Despite all the obstacles Palestinians in the Gaza Strip are suffering due to the siege imposed by the Israeli occupation, they are still hoping to live their daily life naturally and regularly. Gazans keep dreaming to escape their desperate reality by doing several creative activities. Sport, especially football is considered as the main means to delay Palestinian youths' suffering. Playing and watching football matches paints a vivid picture about how Gazans run away from their tragic life. Wherever Gazans go and anytime they meet, they avoid speaking about the political situation and financial strait Gaza people face. However, they keep talking about football, discussing in the details of local, Arab, and international championships and related subjects. Ministry of Youth and Sport in Gaza makes its utmost efforts in order to make people in Gaza leave their suffering and all hard conditions they live. It tries to develop whatever is possible. It also tries to build new playgrounds, and develops sports clubs, youth facilities to improve the abilities of the Gazan players. Gaza sports media supported by the ministry also does its best to aware people how football is particularly important in Gaza. Palestinians in Gaza follow the local league. They become obsessed with watching the Arab and European leagues such as the Egyptian, Spanish and English ones in order to entertain themselves. The closure of the crossings mainly Rafah crossing prevents them to travel and entertain as the whole people worldwide do. It makes Gazans eager to watch the World Cup 2014 on TV as a highly entertainment event. However, power cut through the strip prevents them from enjoying the time they watch matches in. Asking Ali Hassan, a Palestinian youth lives in Gaza, about what football's effects on the Gazans are and how the Israeli occupation obstructs developing it, he said, " We want to lead a descent life without problems or difficulties and sport is a means to reduce thinking about political and economic problems". " Israeli crimes against football and its components such as playgrounds and players are not limited and cannot be counted." Not only does the Israeli occupation destroy the Palestinian economy, weaken the social relationships, kill children, women, and birds, and demolish farmers, buildings, human organizations and governmental facilities, but it also violates football players, clubs, and playgrounds. Occupation obstructs Gaza sport development, mainly football. It damages football infrastructure, prevents sport delegates and players from traveling, interferes in Gaza sport issues and affairs. The Israeli occupation also violates human rights of the Palestinian footballers and tries to prevent the European and Arab football administrators, coaches, even players from coming to the strip. According to statistics and international sources, Israeli warplanes shelled Yarmok and Palestine playgrounds in the last war against Gaza in 2012. Due to the destruction and lack of playgrounds, officials were forced to suspend the Gazan league which is sponsored by the ministry and Palestine Cellular Communications Company. However, they challenged the Israeli occupation, resumed the league and played on only three playgrounds out of five. Players such as Osama Nofal, a player in Jabalia sports club, considered this as a great achievement to the Palestinian football mainly the Gazan. Israeli forces overtly and covertly committed crimes against the Palestinian players. They killed, injured, and arrested many of them. In the last war against Gaza, they caused death to 14 players including Ayman Kordi, a player for the Palestinian national team and Wajeeh Moshtaha in Shijaeya football club. They arrested Mahmoud Sarsak, a player for Rafah club after leaving the besieged Gaza Strip to play for Balata football club in the occupied West Bank city of Nablus. The Israeli occupation not only detains the players but also the football equipment and the devices. It imposes heavy taxes on the Palestinians in order to release what is detained. 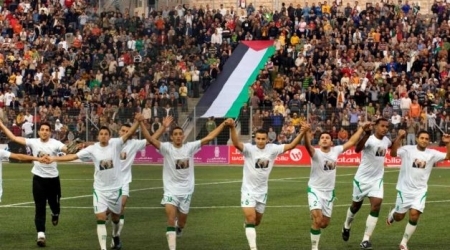 It often prevents the Gazan players to play for the clubs in the occupied West Bank, Arab or European clubs. Players in the Palestinian national team such as Ahmed Kashkash and Mohammed Shebair from Gaza were deprived to obtain passports to join the national team in the West Bank. Ahmed Ghazal is a freelance writer and a football player who resides now in the besieged Gaza strip. Palestinian President Mahmoud Abbas met late Wednesday U.S. Secretary of State John Kerry in London for the first time since peace talks with Israel collapsed last month. The talks were described as informal. Abbas also met with British Prime minister David Cameron. Media sources reported that they discussed Israeli- Palestinian peace deal and the relations with the Palestinian people. "The door remains open to the peace process. The secretary continues to believe that," a senior State Department official said before Kerry left Washington. "But the purpose of the meeting is more about our ongoing relationship with the Palestinian people," he said. 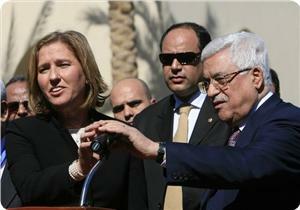 It also reported that Abbas updated British prime minister with the Palestinian reconciliation. Meanwhile, Hamas and Fatah officials concluded a three-hour meeting in Gaza on Wednesday saying that they were confident they would meet the five-week deadline to establish a unity government. Moussa Abu Marzouk, head of the Hamas negotiating team, said the talks would be finalized next week and the unity government would be announced shortly afterwards . All candidates proposed for the Palestinian unity government will be politically "impartial," Fatah official Fayez Abu Atiyeh said . 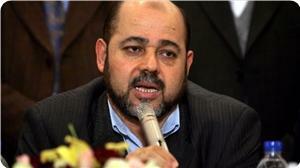 The formation of a proposed unity cabinet is nearly complete, according to Hamas spokesperson Sami Abu Zuhri.